If you're looking for professional mailing services from a company with twenty years of experience, at Color Right Now, we deliver. Color Right Now Offers mailing services for large or small packages. We can put together a large order to be sent to specific clients or generate large quantities of unaddressed mail. The starting point for any successful mailing campaign is an effective database. We have the tools to correct and standardize, remove duplicates, and effectively code all you data. Our software also enables us to pre-sort both your Canadian and U.S. records in order to achieve savings on your postage costs. Depending on your requirements we can provide you with a range of addressing options. 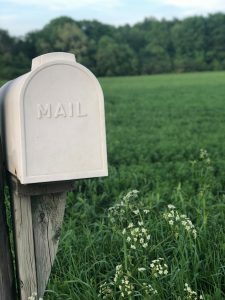 Whether you're planning on a personalized letter, an invoice, or even a postcard, we have the technology to address your mail piece in accordance with your preferences. It can be time consuming to prepare your material for a mailing campaign, so our inserters stuff your envelopes to save the trouble. We have the ability to add generic fold inserts or to design an intelligent mailing. You don't always need to hide your material inside an envelope when conducting your campaign. Take advantage of our clear polybag option so that your material is visible when it arrives at its destination, enticing the recipient to open the package. Not all mail is standard size and not all materials will fir in an envelope. We offer fulfillment service that enable us to package your materials and ship them on your behalf. We can print custom envelopes incorporating your company's log, address, and other important information for daily office use. If you have letters that you wish to send to a list of clients, we can generate address envelopes for each client and send the mail for you. Whether they're addressed or you simply want to hand them out yourself, we can print postcards to Canada Post standards, ensuring a swift and easy mailing process. Do you have a letter that has an identical message but just needs a custom field for each client? With our mailing service we can combine the letter with your customer's information to make your mass mail-outs easy and efficient.